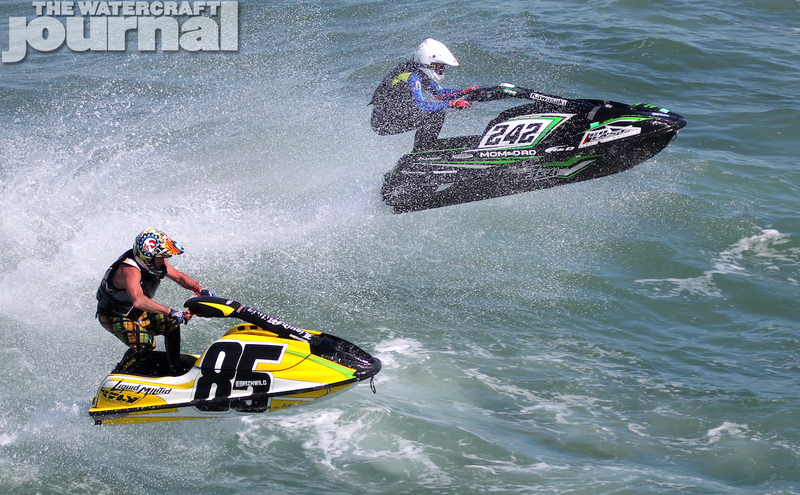 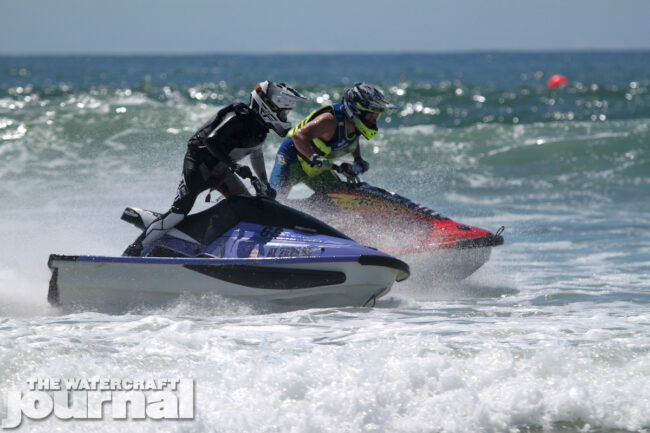 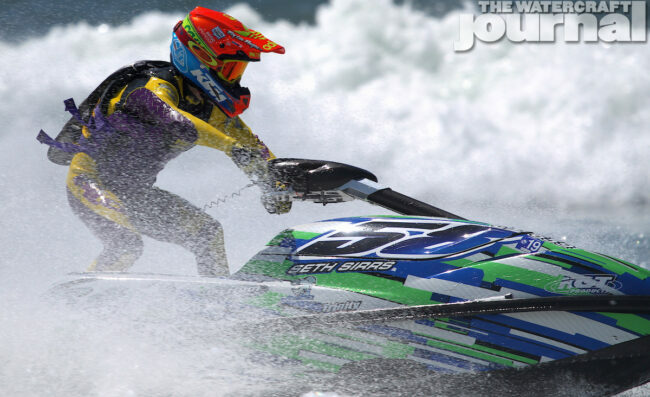 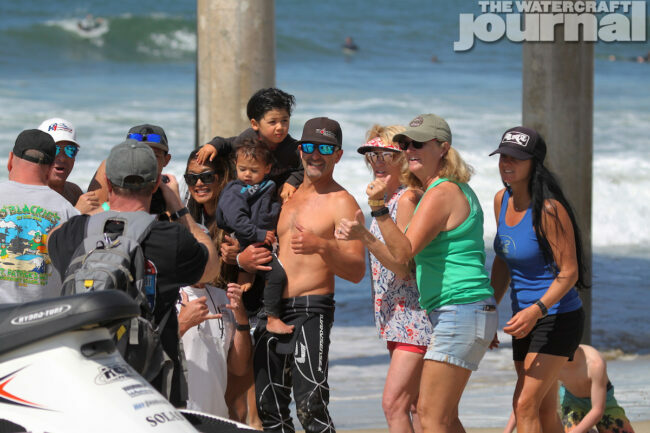 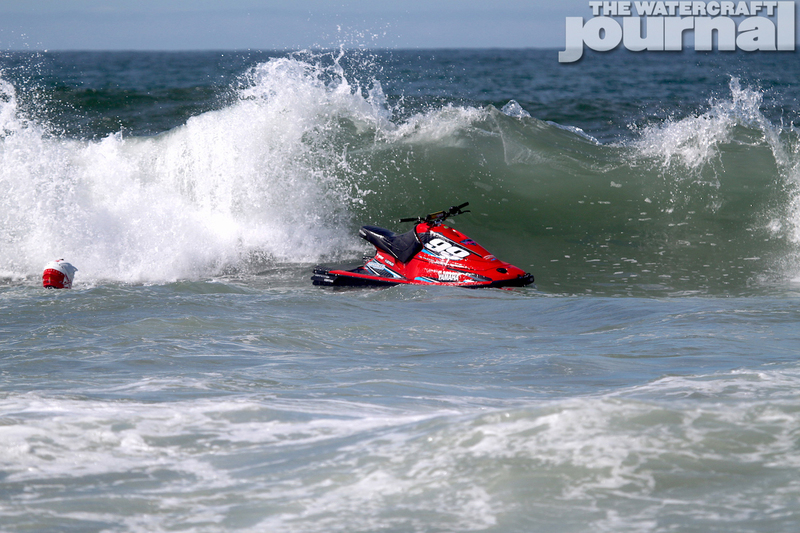 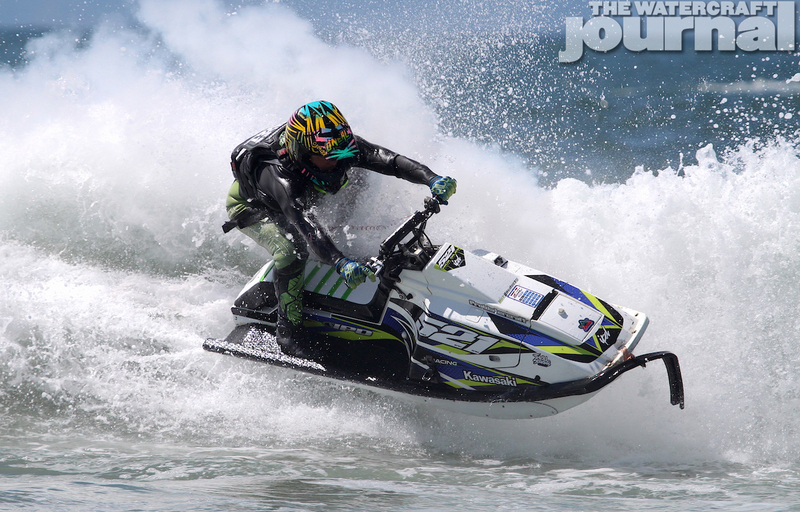 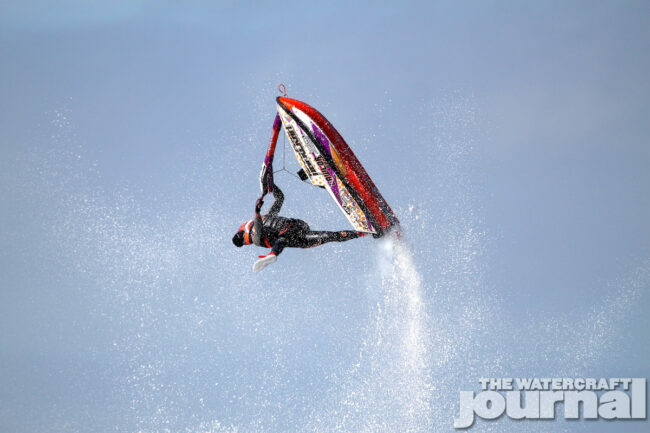 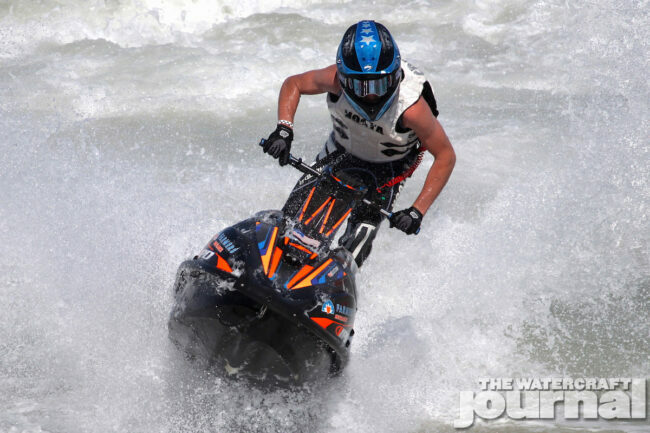 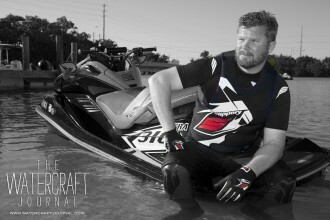 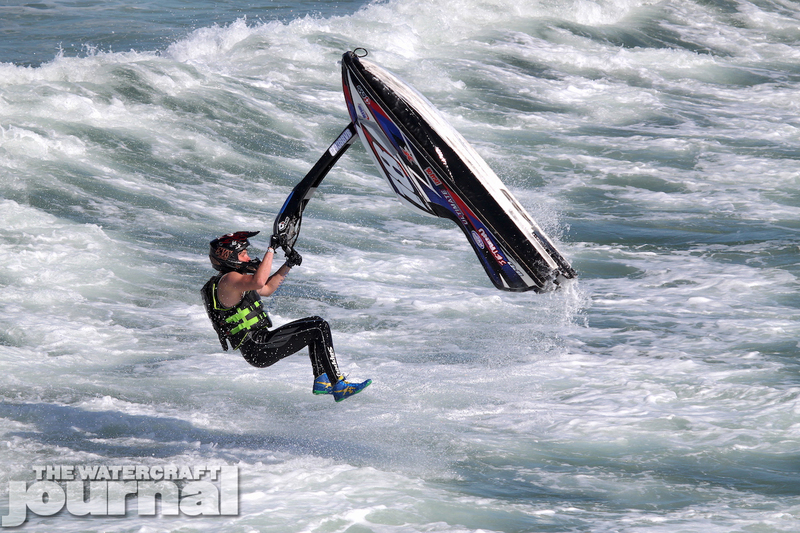 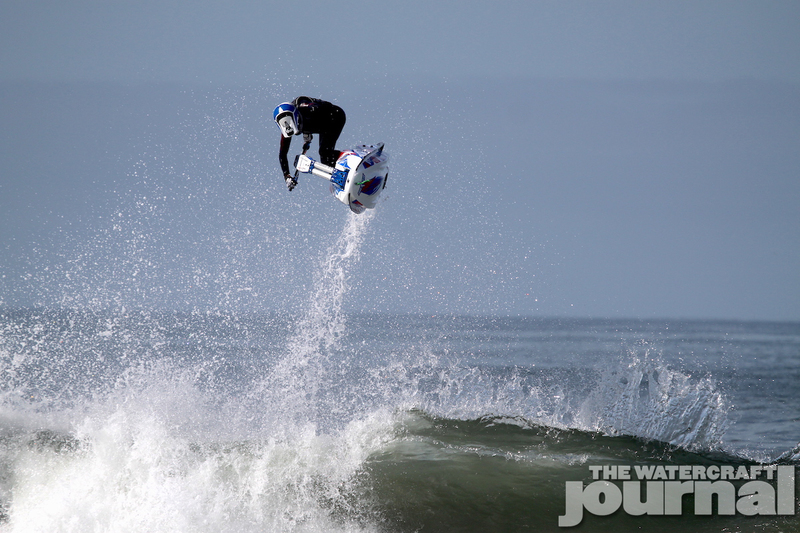 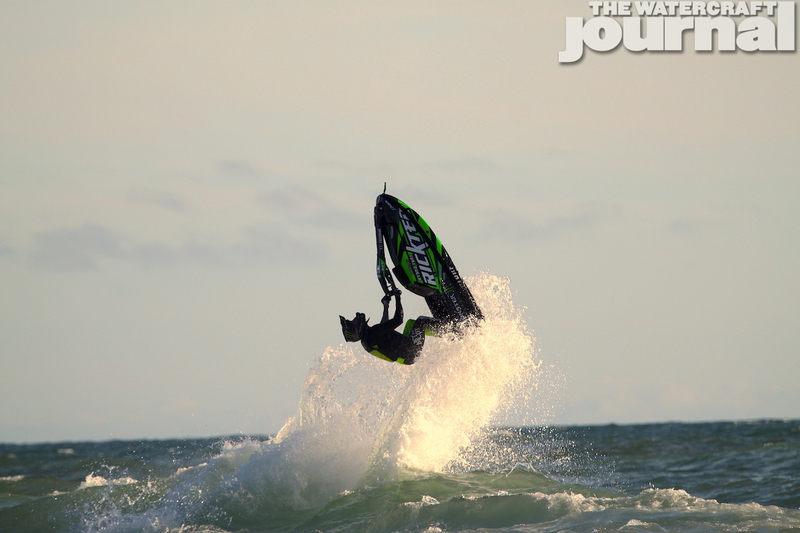 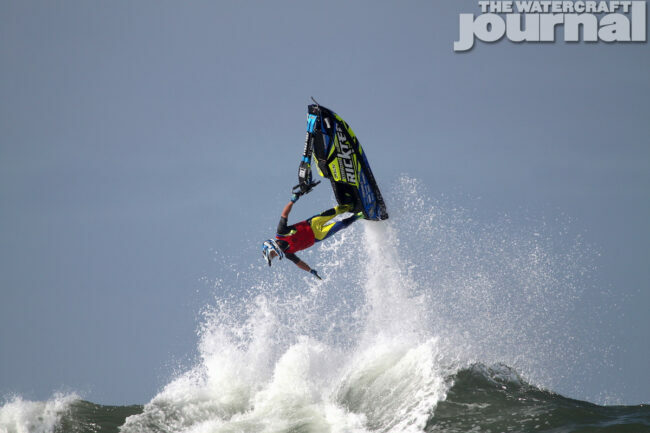 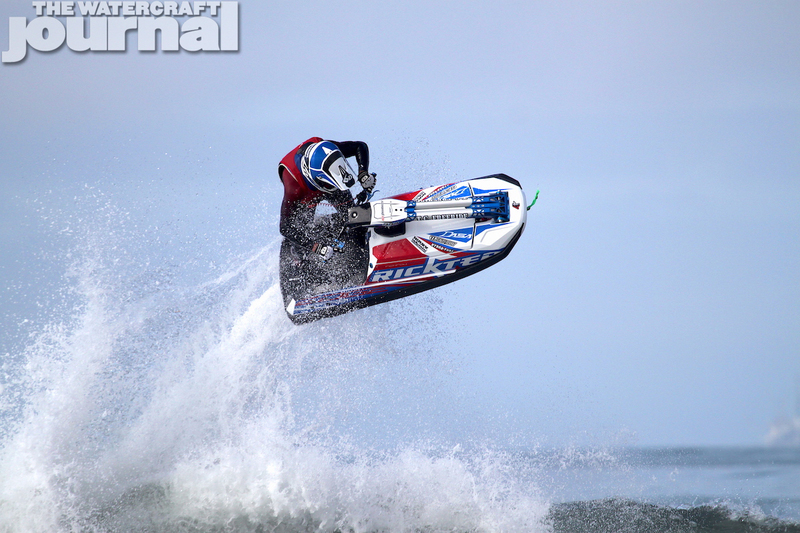 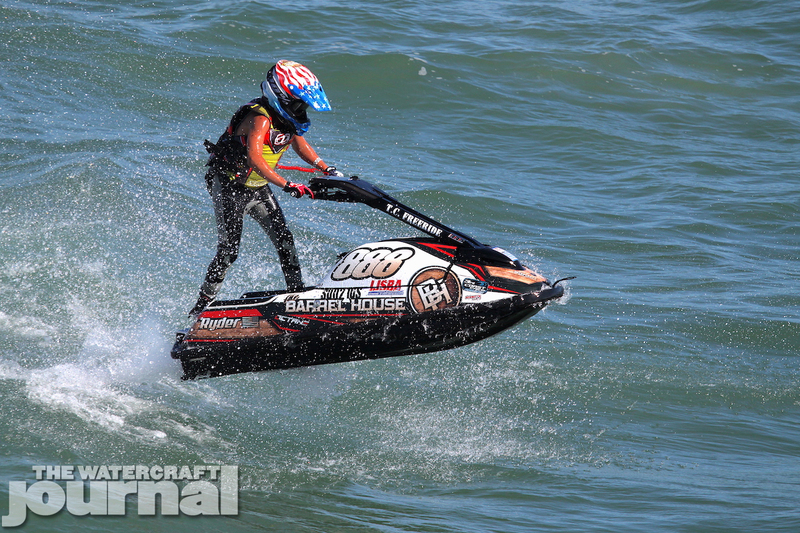 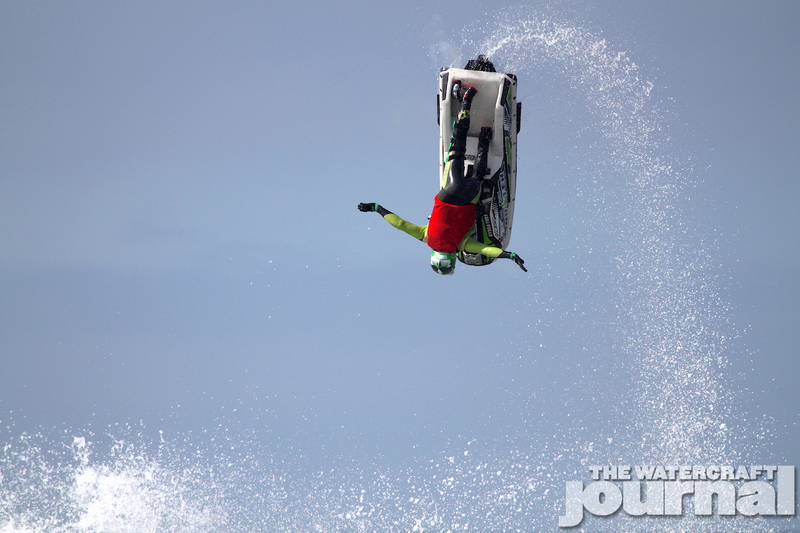 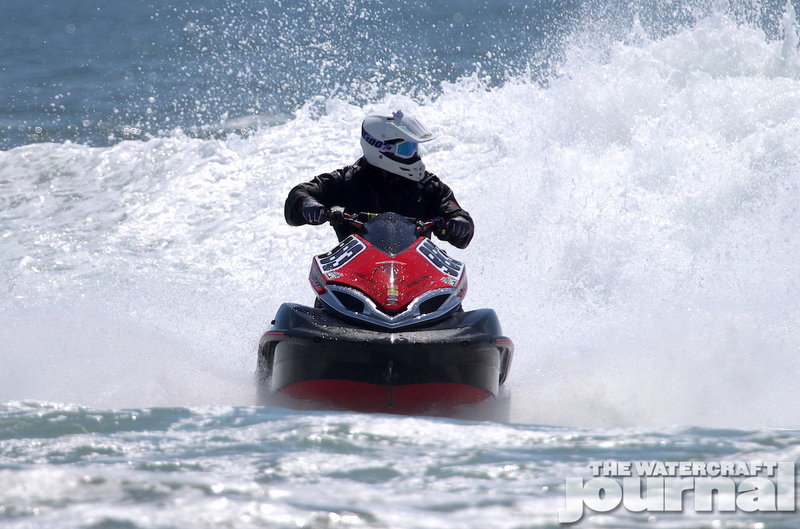 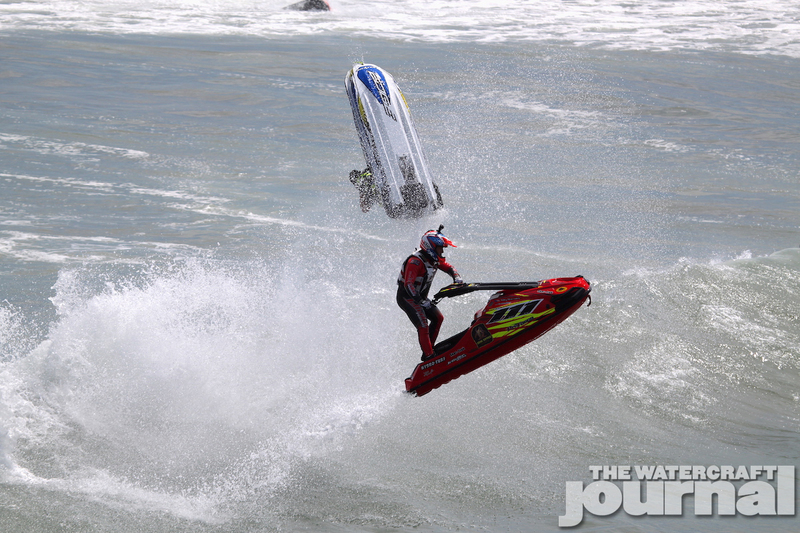 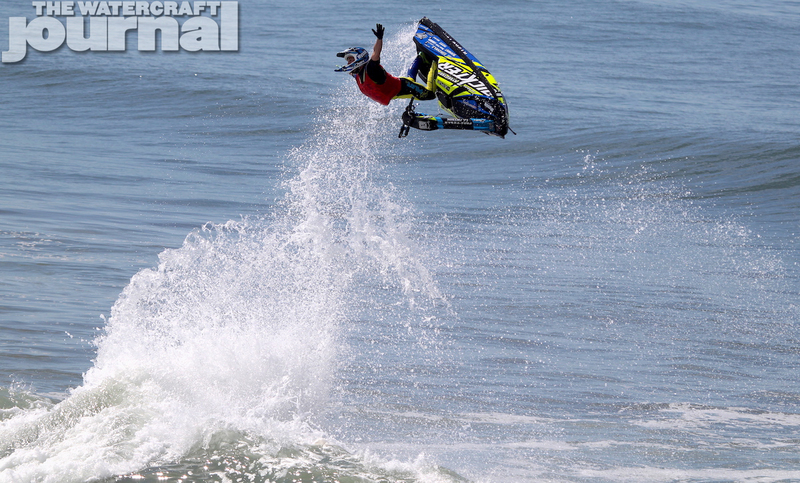 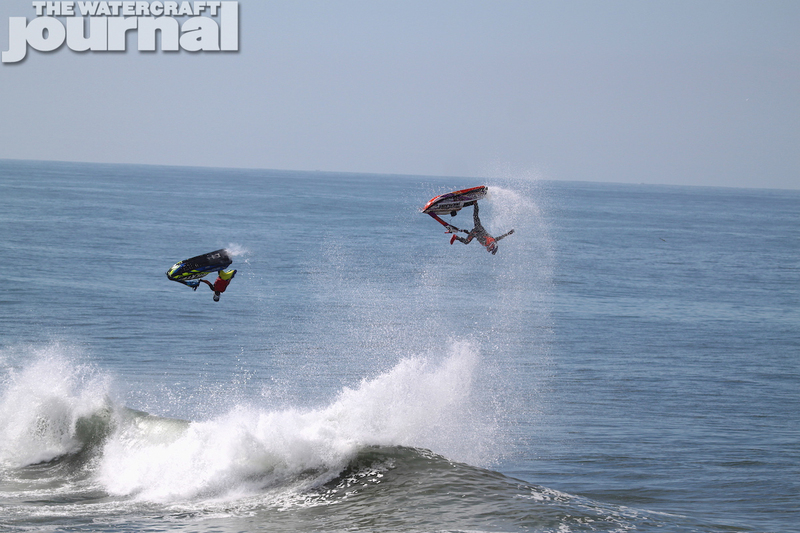 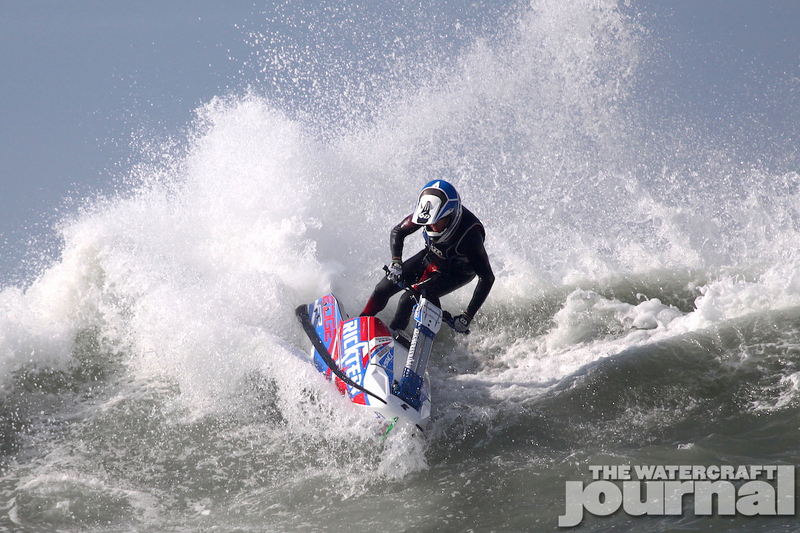 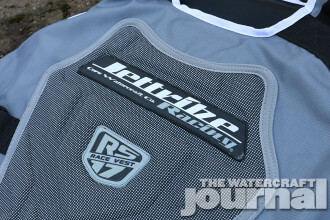 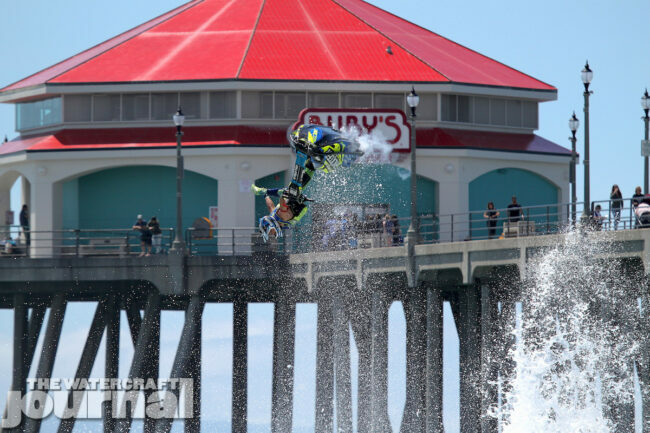 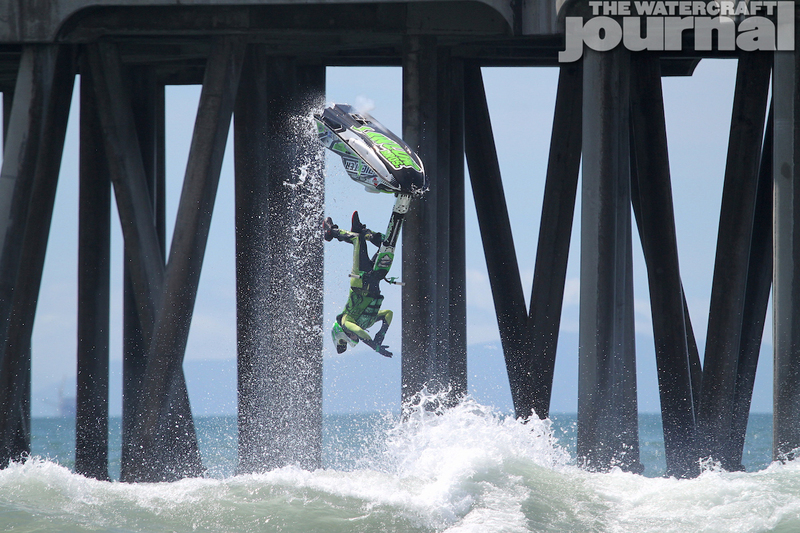 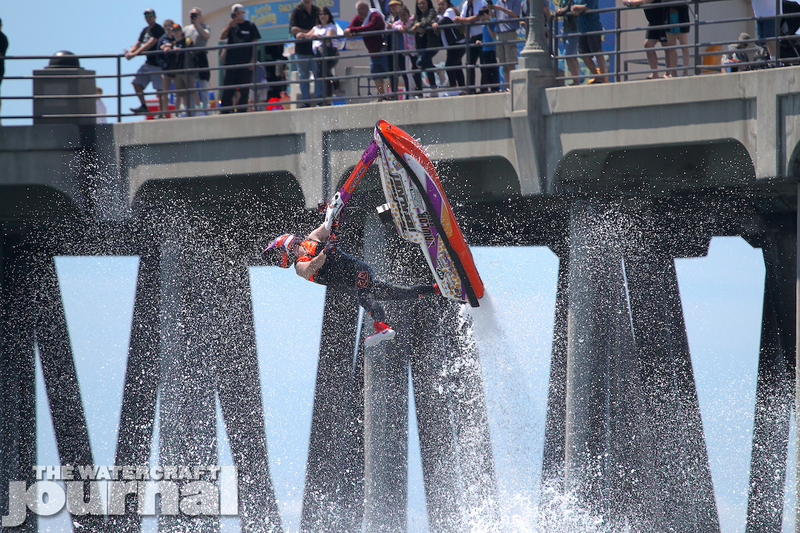 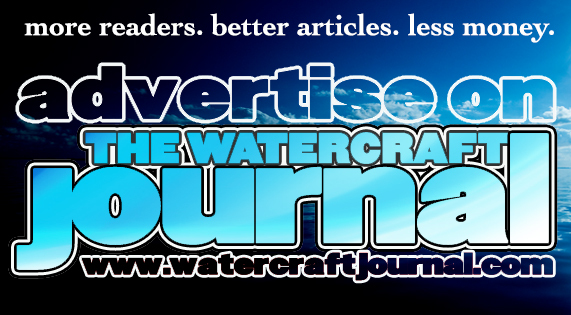 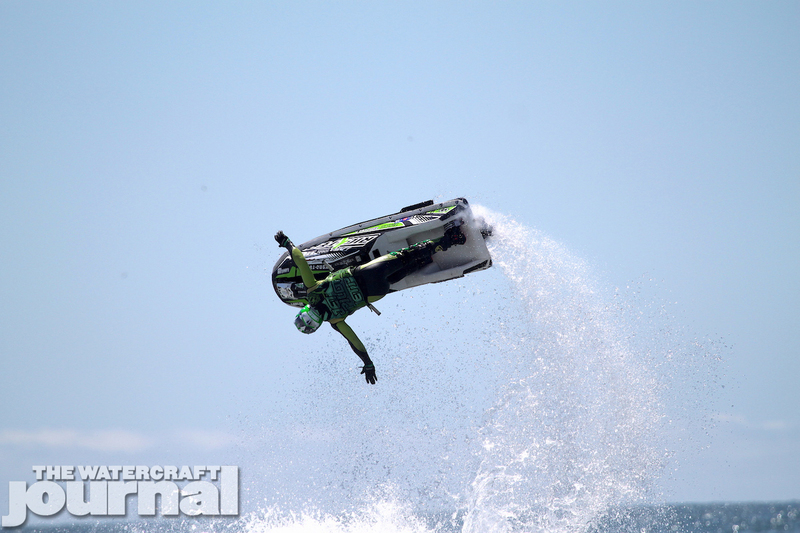 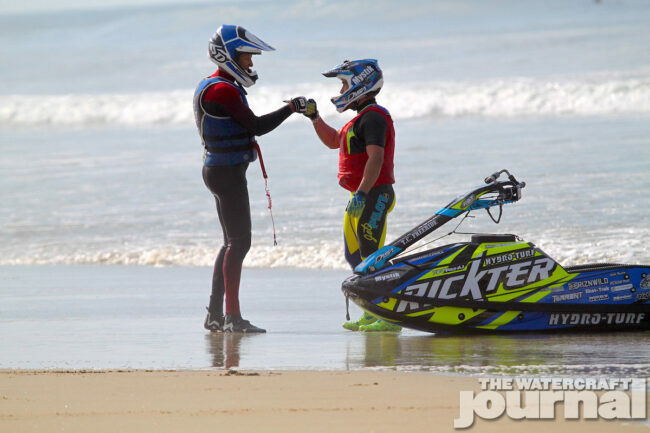 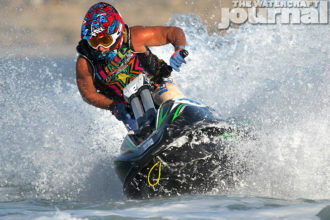 Gallery: 2nd Annual Hot Products Huntington Beach MotoSurf & Impros Freeride | The Watercraft Journal | the best resource for JetSki, WaveRunner, and SeaDoo enthusiasts and most popular Personal WaterCraft site in the world! 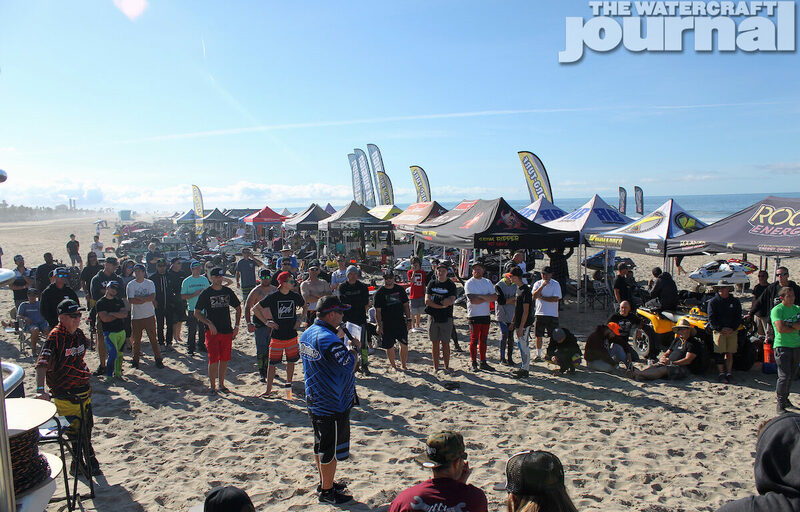 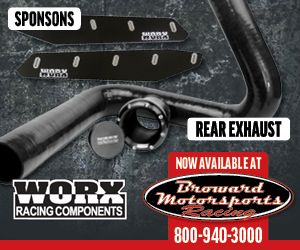 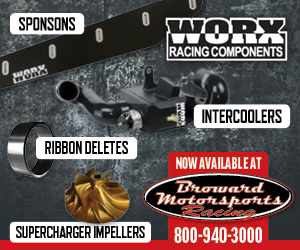 Last weekend, a different kind of turf met the surf at RPM Racing Enterprises 2nd Annual Hot Products Huntington Beach MotoSurf & Impros Freeride Exhibition. Early Friday morning, race trailers packed the parking lots lining Pacific Coast Highway and prepared for an action-packed weekend of battling the 3-4 foot swells against the beautiful backdrop of Huntington Beach Pier. 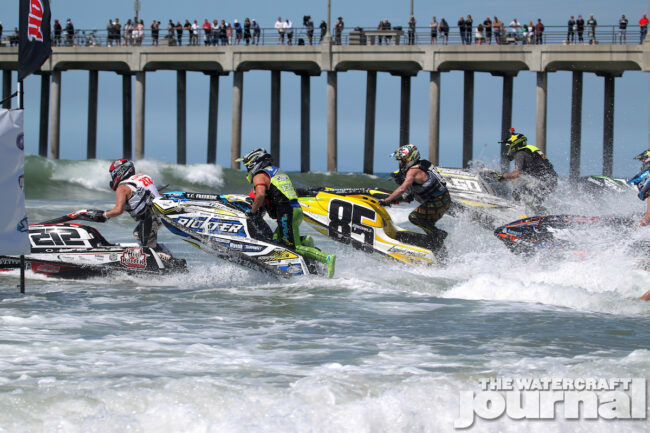 This event is probably the most anticipated event on the West Coast, drawing in hundreds of racers from all over. 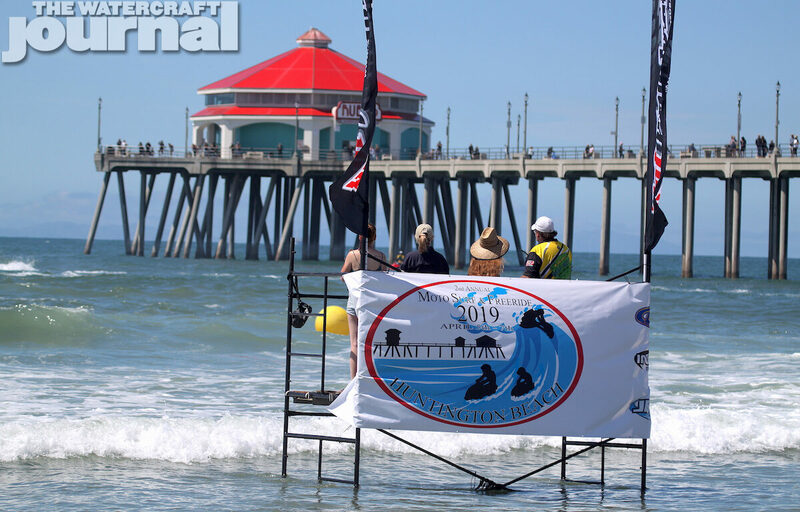 The pier and beach grew packed during the freeride exhibition as riders dumped their skis off their carts and headed into the water, launching their skis to spectacular heights, eye-to-eye with spectators cheering and screaming on the 30-foot tall pier. The freeride couldn’t have been pulled off were it not for TC Freeride’s Mark Gomez and Hot Product’s Tom Perry, who after a few phone calls and late nights, were able to pull together the first Pro Freeride Invitational event, with 8 competitors on the line. 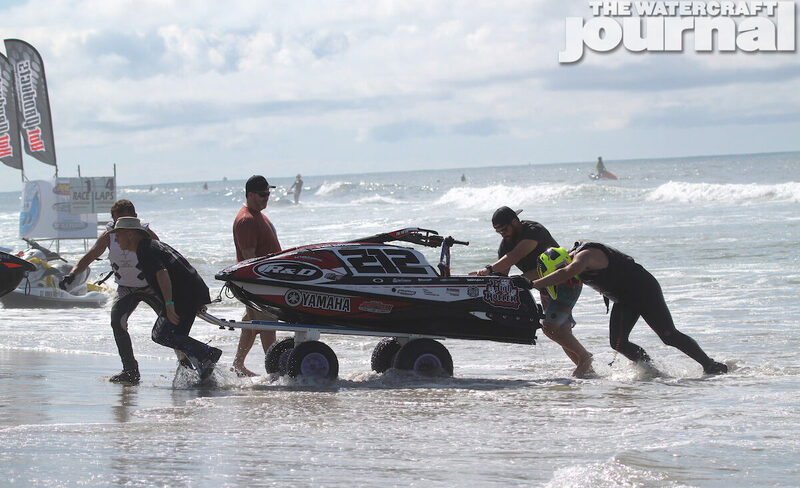 Surf racing definitely has its perks that separate it from the normal racing scene. 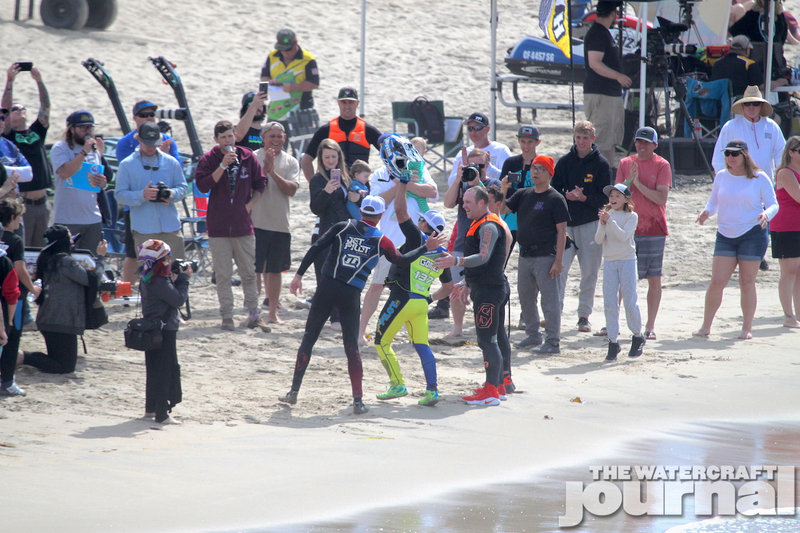 There was no start band, so racers had to tune in to the airhorn being blown behind them to signal their take-off, which also signaled to the crowds that racing had started! The biggest class turnout was none other than Vintage 550 with 11 racers on the line. The churning surf definitely took a toll on a few racers, from bloody noses and bit lips, to a variety of helmet visors, goggles and hoods all lost to Davy Jones’s Locker.